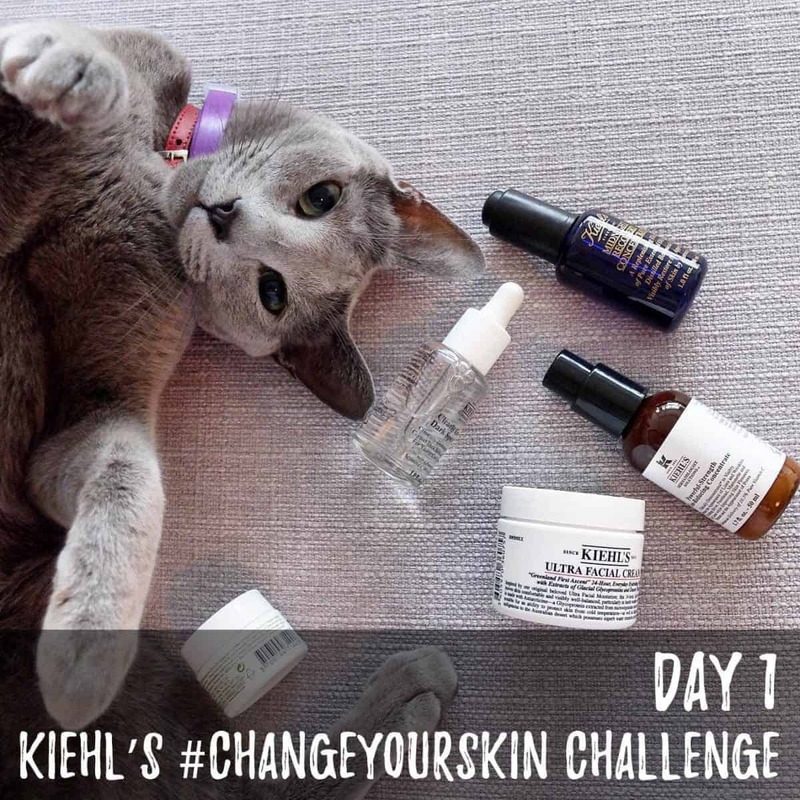 It’s Day 1 of @kiehls.za #ChangeYourSkin Challenge. Kiehl’s and Beauty Bulletin have included me in a 28 day skin-changing journey, I’m joining a host of other blogs with different skincare needs, you can follow my journey and theirs on Beauty Bulletin. It’s perfect timing for me, I’ve been looking around at options for my skincare routine as my needs have changed in the last year or so. At 32 I’m needing a lot more moisture, and some serious help with the lines around my mouth, eyes and forehead. I’m really looking forward to the 28 day challenge, learning more about Kiehl’s products and giving my skin some much needed TLC. I love the packaging of the products – Kiehl’s has been at the top of my wish list for about 4 years now – I first noticed the brand when we were living in Barcelona and I’d make a point of walking past the shop at least once a week to have a look at their displays. 1. Midnight Recovery Concentrate – this is the one I’m most excited about, it’s the product I most often come across and the one that beauty blogs swear by. 2. Dermatologist Solutions™ Clearly Corrective Dark Spot Solution – I have a little bit of pigmentation around my lip area so I’m hoping this one does what it says! 3. Dermatologist Solutions™ Powerful-Strength Line-Reducing – Yes, please. I’m 32 with very pale skin, anything to reduce the signs of aging. 4. Creamy Eye Treatment with Avo – Recently I’ve been reading about the importance of using a good quality eye cream, especially for women over 30. It’s going to be interesting to see if using an eye cream makes a noticable difference. 5. Ultra Facial Moisturizing Cream – My first impression of this cream is very positive. I love deeply moisturising face creams. It might be a bit much if you have oily skin but for me it feels great.